Having already been here a couple of weeks, I’ve had plenty of opportunity to check out the trail in each direction. To the west, it heads off down towards Helford Passage, where you technically need a boat to get across the river to the next section of the trail. Helpfully, the ferry doesn’t run in winter, but it’s easy enough to head inland and make my way back home along the footpaths across the fields. To the east, it’s only five miles or so into the town of Falmouth, with its cheerful shops and nautical heritage. These five miles are pretty hairy ones, though, as the path is generally either steep uphill, steep downhill, swamped with mud – or a combination of all three! 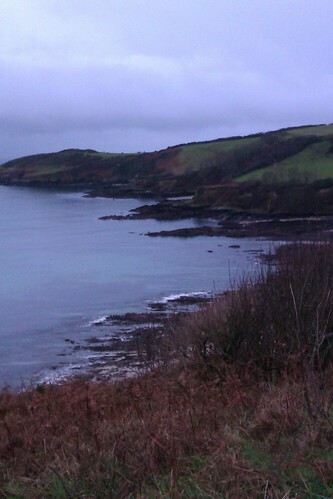 It took me a couple of hours to run into Falmouth and back (which is quite slow, even by my standards) and I was absolutely shattered when I got back, but if was a fantastic run and the views were amazing. 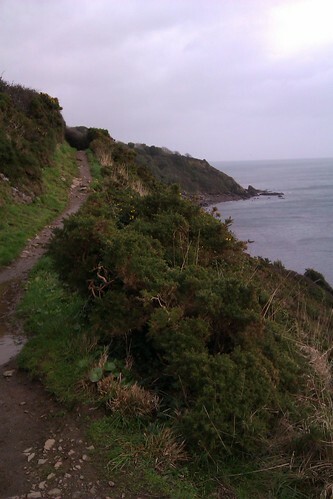 Knowing that the coast path – and the many smaller trails branching off it – is out there waiting for me is a great incentive to pull on my trainers and head out of the door. And Molly, my Labrador, loves the fact that the trail is interspersed with tiny beaches, too. Even better, though, is that because it’s winter, we have the whole trail pretty much to ourselves. Who could wish for more? 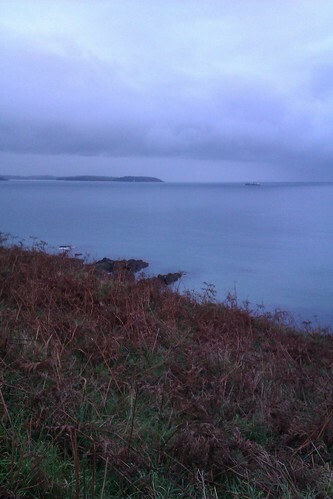 This entry was posted in Outdoors, Running and tagged Cornwall, Molly, Running, South West Coast Path by Simon Perks. Bookmark the permalink.